We’re delighted to be bringing Siobhan Wilson to the Kings Arms! In the age of social media and ever-deeper explorations of identity politics, we remain fascinated by the performance of seeing and being seen. ‘A woman is always accompanied,’ John Berger wrote in 1972’s seminal Ways of Seeing, ‘except when quite alone, and perhaps even then, by her own image of herself.’ Several decades later, we still value art that calls into question the power structures that rise and fall on a gaze. Most of all, we prize those artists who offer a mirror up to our own lives. Following the critical success of her 2017 album There Are No Saints, Edinburgh songwriter Siobhan Wilson is ready to share her own reflections on new album The Departure. A poignant celebration of independence, it’s a record that finds the artist asking questions about fragility and strength, whether addressing toxic masculinity or the divinity of nature. Where previous work has tilted towards various shades of folk, neo-classical and experimental songwriting, The Departure signals towards something fiercer. Though her incredibly voice and ear for melody never leaves, the record is scattered with darker tones: from bass to percussion, the sparks that once flew on previous recordings have set alight, and the result is a something occasionally approaching a rock record. First single Marry You is the perfect introduction to the record’s more expansive sound – as well as its passionate call for personal autonomy. Marry You was the first single Siobhan recorded with her new Baritone Gretsch, deployed to ‘cover a deeper and darker range,’ and hits the target on both counts, bringing an impressive full-band sound to her repertoire. Of course, it wouldn’t be a Siobhan Wilson record without moments of breathtaking quietude. Reflections and Stars Are Nonzero see the artist show off her ability to weave magic with little more than finger-picked guitar and haunting vocals. The former is a tale that journeys through the sea, earth, and the prospect of returning to a home almost forgotten, it’s a reminder that the multi-instrumentalist is capable of producing incandescent beauty from almost anything she lays her hands on. More than anything, it’s a record that challenges the listener to ignore what the world expects of us, and find out how much we can achieve when liberated from those shackles. 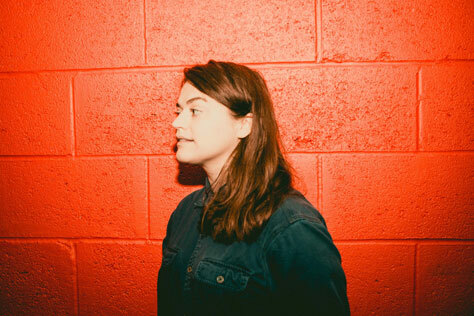 ‘I burst out into green,’ the artist sings on Little Hawk, ‘I burst out cos I’m wilder and richer than you had foreseen.’ Consider this an advance warning, then: Siobhan Wilson isn’t waiting for anyone’s validation or approval. She is bursting out. Tour support comes from Kits. Kits – noun, stylised KITS – a small fur-bearing animal. KITS is the one-person techno-folk project of Jayson Turner, a computer scientist currently living in Glasgow via Manchester and Walney Island. KITS combines vocals, synths, and various bleepy boxes to create simple and meaningful songs ranging from the ecstatically positive to the devastatingly bleak. Fundamentally it’s like LCD Soundsystem, but you can’t dance to it.